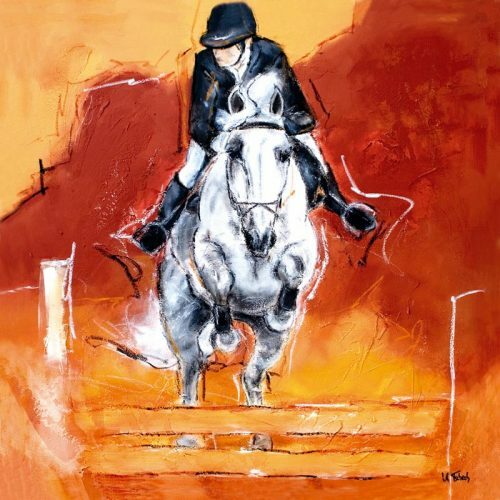 You are enthusiastic about jumping horses and would like to dedicate a place to them within your own walls? 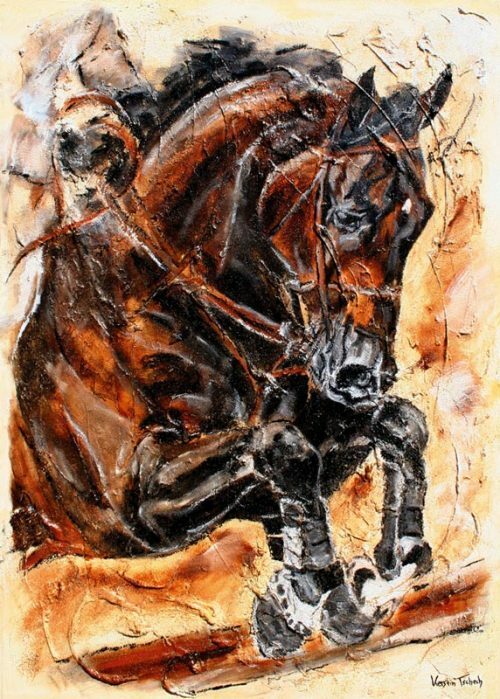 You feel connected with these animals and want to have it close to you? 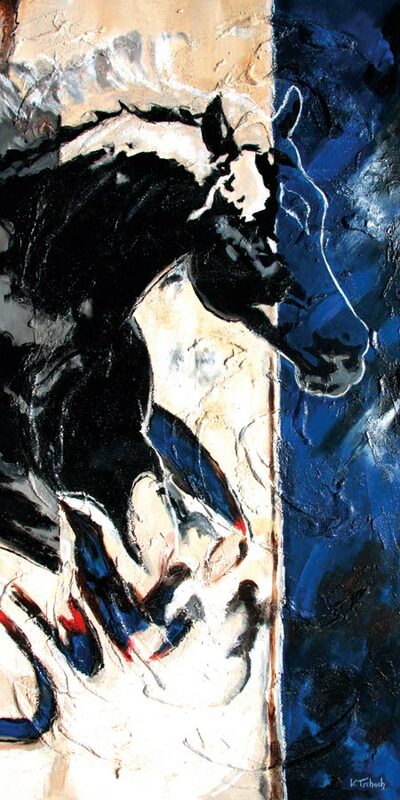 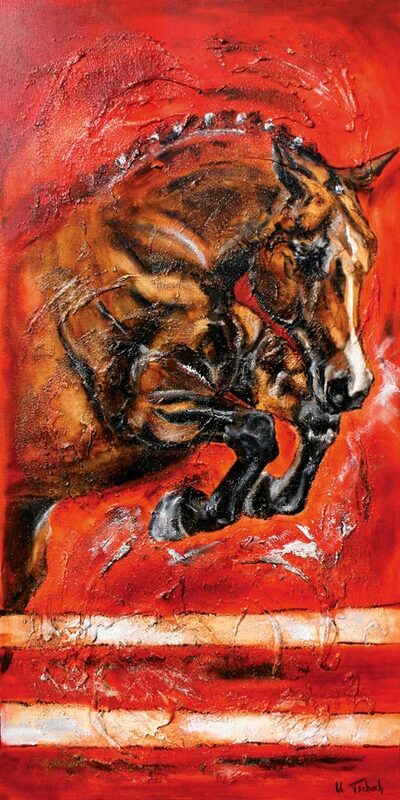 Then you can choose your very personal favourite on pferdekunst.com in the form of a horse art print. 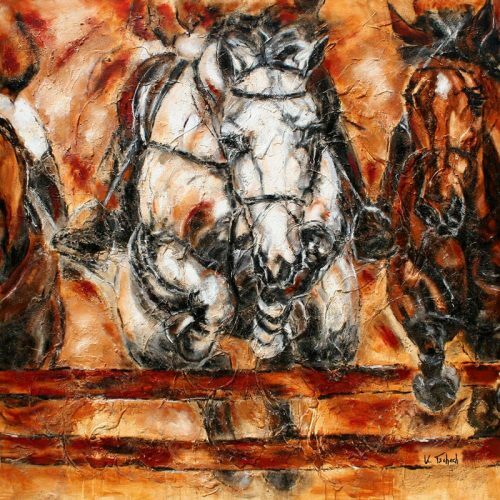 In her paintings of horses, the artist paints scenes captured from the jumping course. 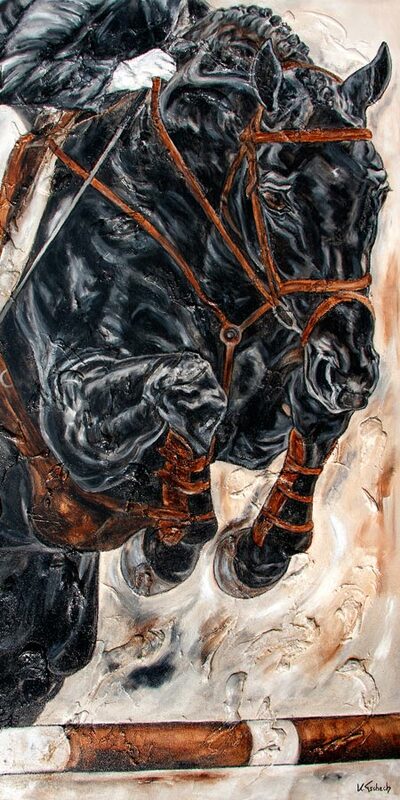 She attaches particular importance to the dynamics, vitality and strength of the horse. 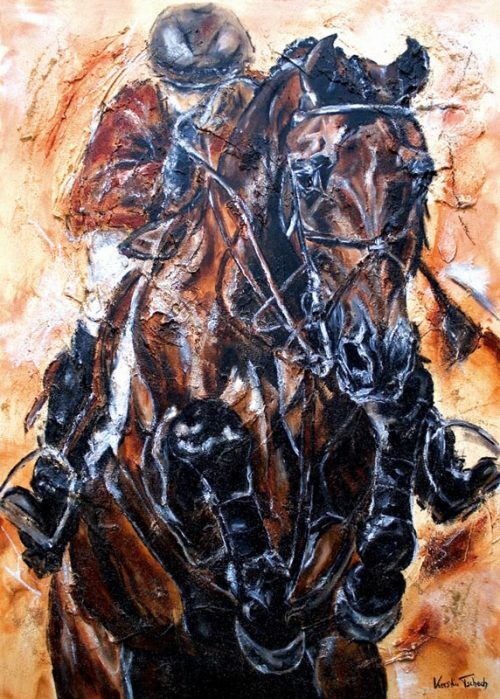 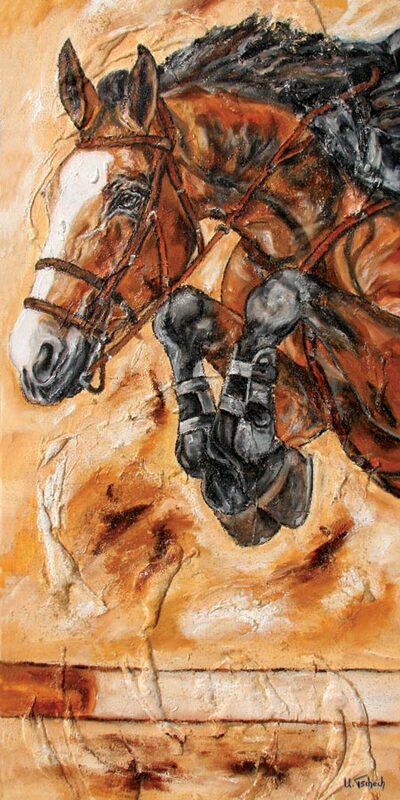 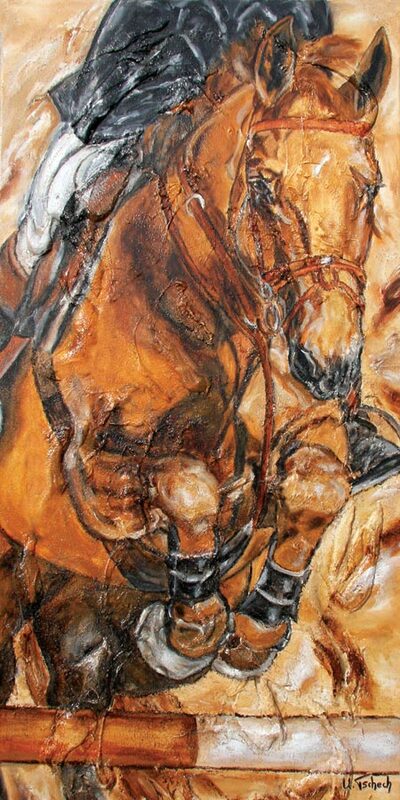 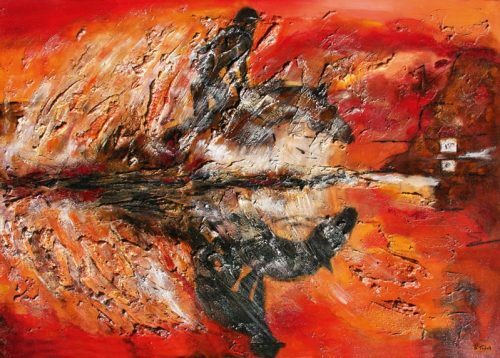 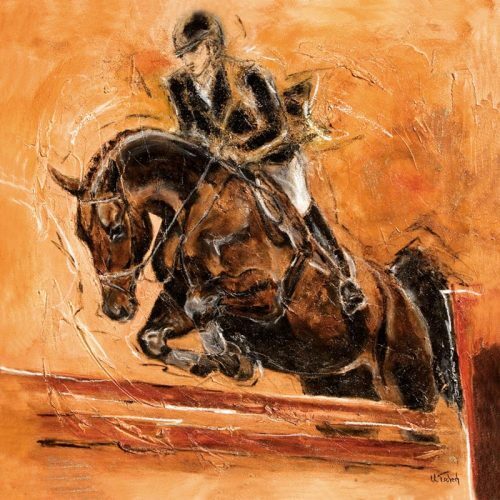 She also pays special attention to the bascule of show jumpers in her horse paintings, while incorporating obstacles such as ramparts or ditches from the show jumping course as abstract elements. 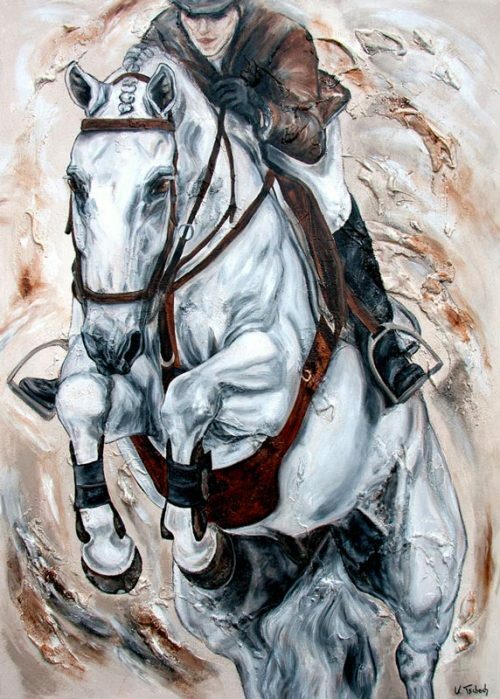 In this equestrian sport there are various disciplines such as style jumping or time jumping, in which the riders prove themselves at various equestrian tournaments. 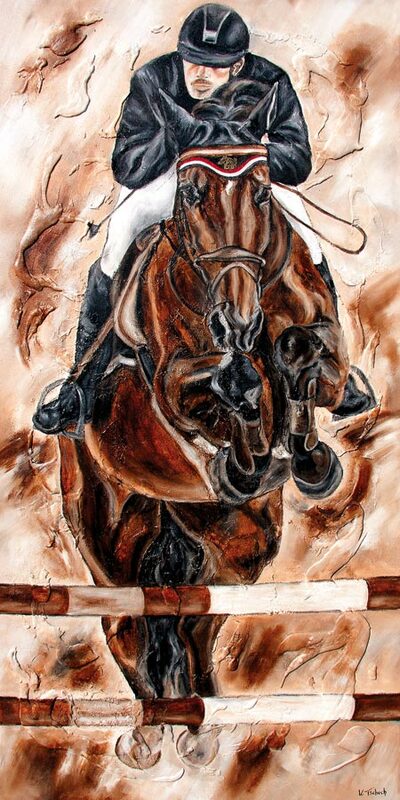 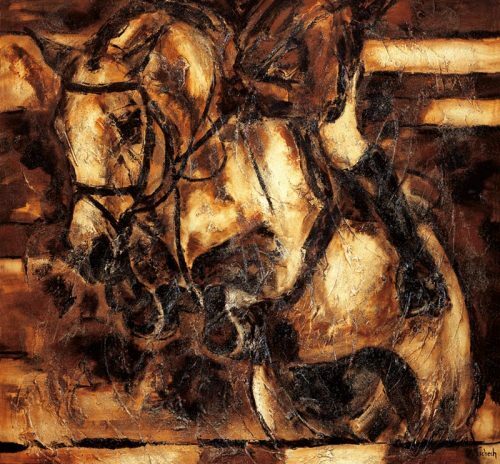 This equestrian scene is one of the artist’s international clients. 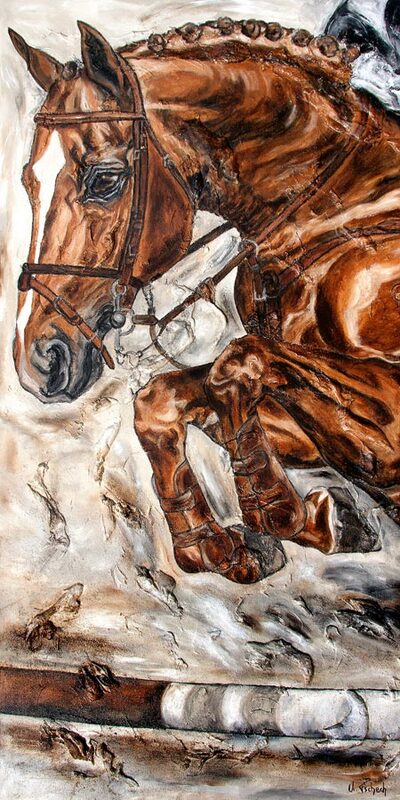 Therefore you can also find for example famous horses of Meredith Michaels-Beerbaum among the horse prints.